To add practicality to your bathroom shower space at an affordable price, choose the Cube Shower Column Set. This highly practical set includes both an overhead shower unit and a handheld. 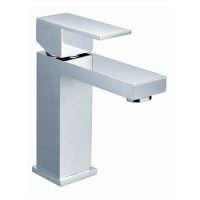 And, because of it extremely attractive contemporary design, it is a popular choice for builders and homeowners alike – it will instantly become the feature piece of any bathroom it is installed in. The ease of installation also adds to the popularity of this product. The Cube Shower Column Set is durable, sturdy and built to last. 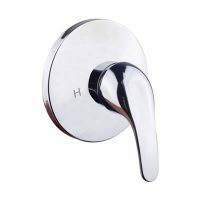 It features solid brass construction and top quality workmanship. 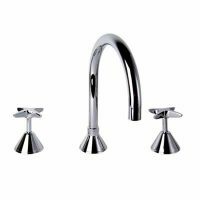 The attractive design is enhanced by a high-quality chrome finish and features. It also features a very easy to use, ergonomic design. 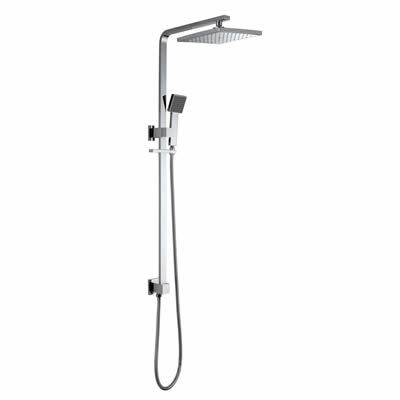 Both the shower head and the handheld unit are easily operated with the lever handle and can be operated from a single hand. Furthermore, the flat design of the shower head offers a relaxing bathing experience. If you’re looking for bathroom tapware that scores well on functionality and good looks, choose the Cube Shower Column Set. Buy this product at an incredibly affordable price from our online store or showroom at Ross’s Discount Home Centre in Perth today!